Foreign nationals wishing to take their wedding vows in Attica could provide an important source of income, executive regional counsillor of Attica Region Elena Demopoulos told Athens-Macedonian News Agency (ANA) on Wednesday. Demopoulos noted that wedding tourism is part of the tourism products the region has chosen to develop and promote according to its strategic plan. 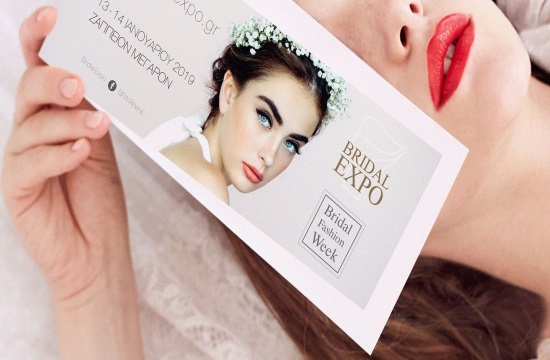 She went on to explain that the region's presence in the Bridal Expo 2019 in Athens - aimed at showcasing Attica's wedding destinations and at boosting demand for this type of tourism in the national and international markets - was the first step in the process. To date, most wedding tourists in Athens originate from Lebanon, with the exception of one notable Indian wedding estimated to have brought 500,000 euros in revenue for the local economy.